Mushahwar pointed out that the speed of innovation is dramatically increasing. The iPhone first hit the market in 2007 and has completely changed how individuals interact with their devices. YouTube launched in 2005 and is an enormous opportunity for advertising. Many millennials don’t even remember life pre-YouTube. She invoked Intel co-founder Gordon E. Moore’s eponymous “Moore’s law” in support of the inevitable surge of new tech available to consumers. The principle states that computers are doubling in power every eighteen months as price and size decrease at the same rate. This rapid innovation has huge ramifications for retail. There were quite a few interesting statistics thrown out for consideration over the course of the presentation, but there was one startling prediction. By 2020, more than 50 percent of retailers are going to be out of business. Intel wants to prevent that downturn, but in order to curb it, we have to understand why it’s happening. Digital natives like millennials are driving the change, but Mushahwar pointed out that women have a tremendous amount of spending power too — $20 trillion worldwide and $4.3 trillion in the U.S. People are getting married later, having children later, and retiring later, all of which are affecting what people buy and when they buy it. Retailers like Amazon are spending enormous amounts of money on research and development to create next-generation retail experiences. Amazon’s Dash buttons have increased weekly orders for Amazon grocery products by 75 percent. Many different “share economy” businesses like Airbnb, Instacart, and Uber are altering how consumers interact with the retail landscape. Services like Instacart and Uber are changing how people interact with retail. How are they doing it? According to Mushahwar’s data, people spend nearly 10 hours a day in front of 10 different screens! Things have changed quite a bit since the days of being marketed to by the TV and print alone. A big question for retailers is how you leverage all these different screens to get your products in front of consumers. Many retailers are getting the message. One example: Gatorade spent $900,000 to create an Orange Crush filter on Snapchat. And it doesn’t all just depend on what’s on the screen. One of Intel’s mandates is helping businesses leverage big data by taking conglomerated consumer data and using it to transform the store into what Mushahwar called an “experience zone.” She used the Genius Bar as an example, and Apple’s goal for the retail experience to provide a service and a connection. The focus is not (on the surface) to sell products during the process. Mushahwar concluded her presentation with a call to action, asking what executives are going to do as their companies move into the future: How do we expand to help make better retail decisions? 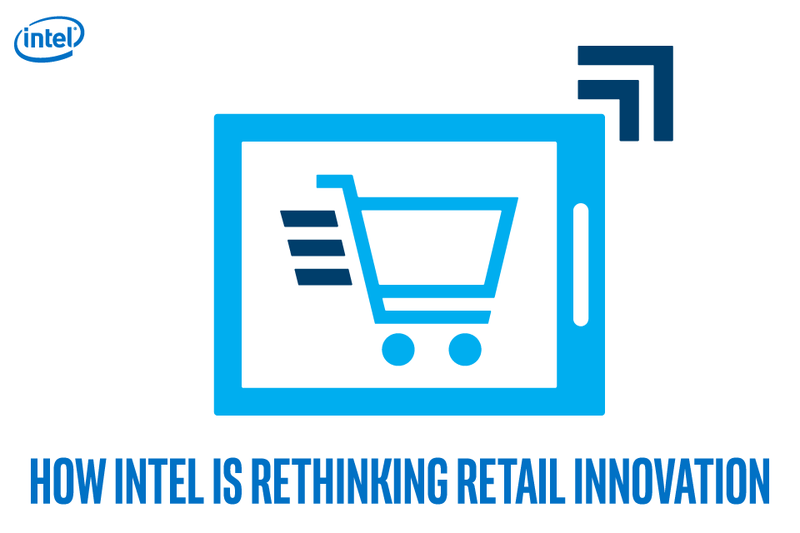 Regardless of the answer, Intel’s here to help retailers expand and respond to retail tech of the future. Anne Van Hulle is a U.S. retail campaign manager with 7 years of experience at Intel. In her current role, Van Hulle manages the North American retail vertical segment. 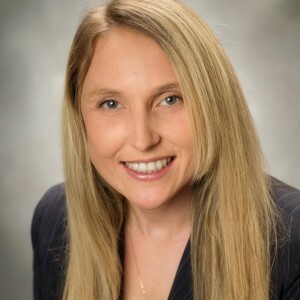 During her career at Intel, she has led B2B media activities for North America including IT publisher partnerships, search engine marketing, social media, native advertising, and lead generation activities. Through her insight as an avid shopper, technology lover and as a millennial, Van Hulle has strengthened her experience in retail store technologies and shares her expertise and passion with retailers through her work at Intel. Van Hulle graduated from Willamette University with a Bachelor’s degree in economics, and from Willamette University’s Atkinson Graduate School of Management with a MBA in marketing. Outside of work, Van Hulle’s curiosity and diversity in her activities has no boundaries, but some of her favorite pastimes include dragon boating, running, shopping and enjoying a microbrew while listening live to a local band. You can follow Anne on Twitter: @annecvh and continue the retail conversation by following @Retailerinsight and visiting our retail community page http://itpeernetwork.intel.com/retail/.